30 Commercial Real Estate & Properties in North Lakes are listed in 5 categories. We have 63 OfficesSale & Lease , 20 Retail ShopsSale & Lease , 20 Industrial Warehouses Sale & Lease , 12 ShowroomsSale & Lease and 12 Medical and Consulting PropertiesSale & Lease . 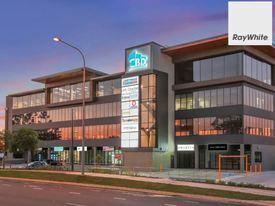 Ray White Commercial North Coast Central is pleased to offer 2I/2 4 Flinders Parade, North Lakes for lease. Features: 44m2 professional office space On site amenities Basement car parking Cutting edge IT platforms with fibre connectivity On site cafe kitchenette Easy access to public transport and Bruce Highway Minutes to North Lakes Westfield Shopping Centre, Costco, IKEA, Bunnings and major retailer For more information or to book an inspection please contact Aaron Canavan or Chris Massie. 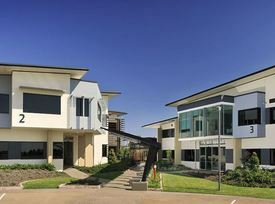 Ray White Commercial North Coast Central is pleased to offer Stage 3 Lakes Vista North Lakes for lease. Stages 1 2 are now Sold and Leased. Lakes Vista Office Park master plan creates an ideal environment for businesses small and large offering office space available from 50m2. Stage 3 construction is due to be completed Q3, 2018. Features Include: Office Spaces from 50m2 On Site basement car parking Blue Fusion Cafe High Speed Fibre Optics Air conditioned Easy Access to Bruce Highway Public Transport Short distance to Westfield North Lakes, IKEA, Costco Bunnings For more details or to arrange an inspection please contact Blake Primrose or Chris Massie. Ray White Commercial North Coast Central is pleased to offer 5G/2 4 Flinders Parade, North Lakes for lease. Stages 1 2 now leased and sold. Secure your space in stage 3 Due For Completion Third Quarter 2018. Features: 113m2 Professional Office Suite Due For Completion Third Quarter 2018 High Speed Fibre Connectivity Secure Undercover Parking On Site Blue Fusion Cafe On Site Easy Access to Mango Hill Train Station Minutes from Bruce Highway, Costco, Westfield North Lakes IKEA For more information or to arrange an inspection please contact agents Blake Primrose or Chris Massie. Ray White Commercial North Coast Central is pleased to offer 5K/2 4 Flinders Parade, North Lakes for lease. Stages 1 2 now leased and sold. Secure your space in stage 3 Due For Completion Third Quarter 2018. Features: 50m2 Professional Office Suite Due For Completion Third Quarter 2018 High Speed NBN Fibre Connectivity Secure Undercover Parking On Site Blue Fusion Cafe On Site Easy Access to Mango Hill Train Station Minutes from Bruce Highway, Costco, Westfield North Lakes IKEA For more information or to arrange an inspection please contact agents Blake Primrose or Chris Massie. Located in the thriving North Lakes Business Park, just minutes to Costco, IKEA, Westfield and North Lakes town centre. Flexible Leasing Terms Basement Car Parking Swipe Card Access On Site Amentities Natural Light High Speed Fibre Optic Service Contact agents Chris Massie or Aaron Canavan for more information or to book an inspection. Located in the thriving North Lakes Business Park, just minutes to Costco, IKEA, Westfield and North Lakes town centre. 30sqm Office Space Flexible Leasing Terms Basement Car Parking Swipe Card Access On Site Amentities Natural Light High Speed Fibre Optic Service Includes Outgoings Contact agents Chris Massie or Aaron Canavan for more information or to book an inspection. North Lakes Serviced Offices - Available Now Serviced Offices - Availa.. Discover Room To Move On Discovery Drive! Contact Agent For Latest ..
New Retail / Restaurant Hub  Now Open In North Lakes 66m² - 300m² From $32,670 P.A + GST + .. Private Specialist Medical Suites From 65m² - 99m² $35,750 - $54,450 P.A +GS..